One of the things on my gigantic to-do list is sorting through and organizing the recipes in my recipe box. Yes…I still have a recipe box. I could never give it up. 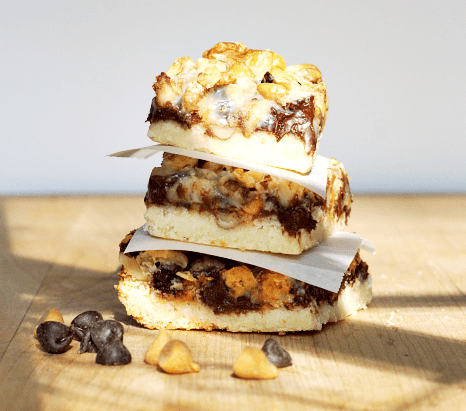 The other day I was looking for a certain recipe and came across this one for 5 Layer Cookie Bars. It caught my attention because even though it was in my handwriting, the “recipe from the kitchen of” space said Mom. That instantly put a lump in my throat so I put the card in the “to make soon” pile. I so wish my Mom had written it out…but just the fact that it was her recipe makes it special. The ingredients are easy and it took less than 10 minutes from start to in the oven. Oh…and these bars are AMAZING! Mix the cake mix and butter until tiny crumbs form. Press into a 9 x 13 glass pan. Top with chocolate chips, butterscotch chips and walnuts. Drizzle can of sweetened condensed milk over entire pan. My advice would be to cut these into small squares because they are very rich…you sure don’t need a big one! This would be a great dish to take to a party or picnic where you need to serve a crowd. Even though the recipe says to cool completely before cutting, I cheated and had one when it was still warm. I highly recommend doing just that! OMG my mouth is watering!! I sure could go for one of those right about now! HI Ann I always love finding my Mother’s recipe’s when I get out the file box!! The look and sound delish; thank you for sharing! These are delicious! A friend of mine used to make them all the time. Thanks for bringing them back for me. 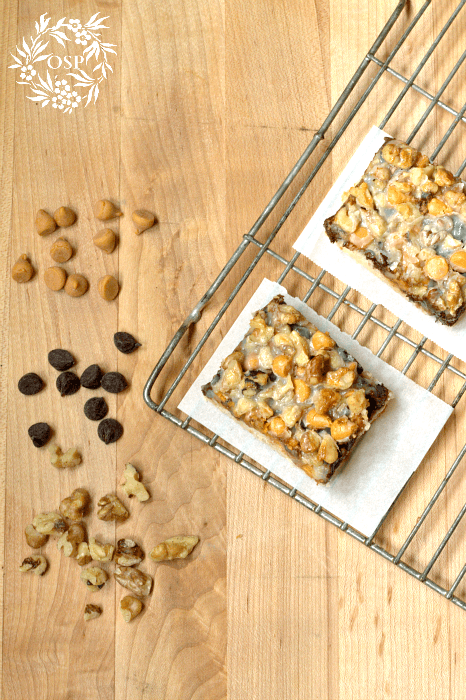 That’s it…..Magic Cookie Bars! Thanks. Mmm,mmm good….. These almost remind me of the coconut, chocolate chip cookie bars. Also very decadent. I’ll have to try these. My mom made the same cookies. I think she called them magic cookie bars. Bittersweet memories, right? Yummy! 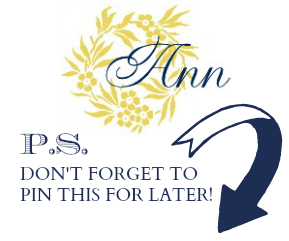 I have some handwritten recipe cards from my mom…they are precious to me. These are a “must make” for me too. 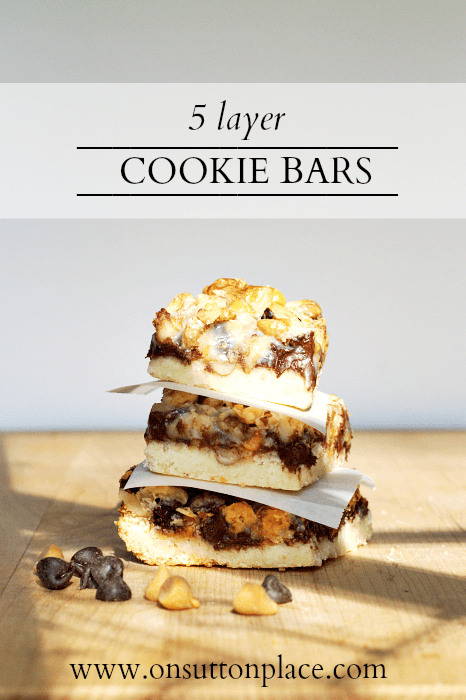 I make something similar called a 7 layer cookie bar, but that has a graham cracker crust. I think I’m going to love the cake bottom on your recipe even better! Thanks for sharing the recipe, Ann. I’m filing this one into the “Must Make Soon” pile as well! What a great recipe for a quick easy dessert dish to take to a potluck or picnic!